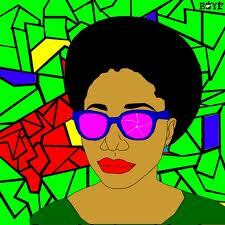 What is it about Afrobeat that is so infectious? For me, its the pulse of joy, its the energy and, its the shamelessness of the music’s insistence upon finding and remaining in the groove. There are very few days throughout the year when that wall of sax, bass and driving drums is not welcome. Very rare is the party that does not get a jump start when the Afrobeat songs are played. 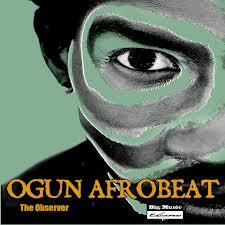 Ogun Afrobeat is a Nigerian band resident in Spain. It thus qualifies as that country’s sole Afrobeat band and the latest band of brothers to join the cause of making the world safe, once more, for the music which Fela Kuti did so much to promote and which is so identified with him. 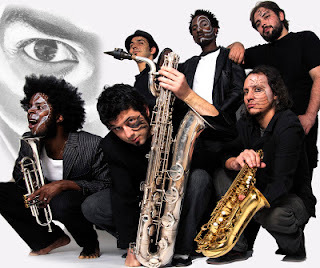 Ogun Afrobeat is the first Afrobeat band in Spain of authentic Yoruba culture. Led by Akin Dimeji Onas from Lagos,Nigeria, one of the best African drummers in Spain, and backed by an powerful horn and rhythm section, the group has an extraordinary on stage sound which puts it at the forefront of Afrobeat bands. Ogun Afrobeat has a lot to offer to the followers of Fela Anikulapo Kuti and fans of African and African-American music. As part of a burgeoning modern Afrobeat movement that is worldwide, Ogun stands out because of its original usage of traditional native rhythms from the Yoruba culture along with touches of other African musical art forms and its progressive mix of Funk, Disco, and Soul, the true hybrid heart of Afrobeat. A comparitively small group for an Afrobeat group, this eight piece band wields the might of an entire Afrobeat orchestra, and the intensity of its live performances is simply irresistable. 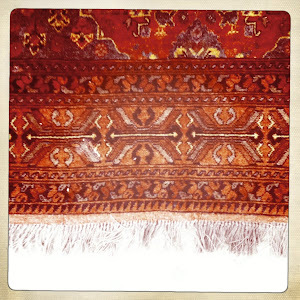 I’m working on several other things at the moment and am rather distracted or preoccupied or simply busy. So I will spare faithful readers from any excessive blather and simply let you get on with the enjoyment of this Afrobeat de la Espana. Ole!